Friday Feature: What Are You Thankful For This Week? It’s time for the Friday Feature again, where I ask you what good things happened to you this week. This is direct from Telushkin’s Book of Jewish Values, Day 69. This is a regular Friday morning feature for this blog. Telushkin intended his book to provide topics for Shabbat discussions for at least a year, as each “week” is composed of six values (one per day) and then Shabbat, where he encourages us to talk about those values at our Shabbat dinners and services. 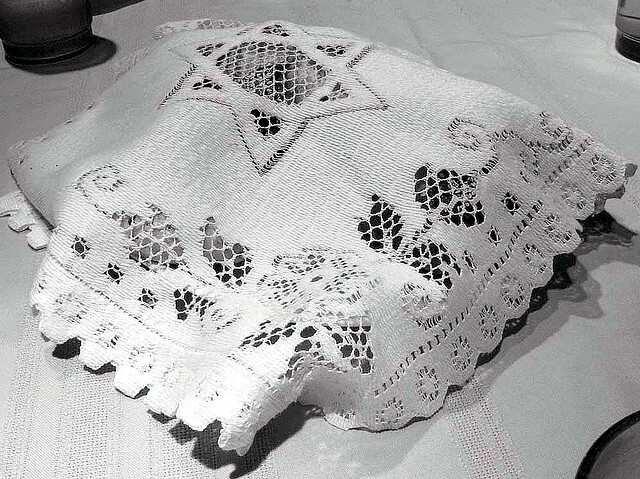 I feel that the idea of gratitude is so central to Jewish practice that we should be reminded weekly of what we might be grateful for. While I know that this might seem a little self-centered, I’m also doing this so that people will have some food for thought for their own Shabbat dinners about what they might be thankful for. I generally talk about the following areas of my life: work and career; family and friends; health; household; my conversion studies; miscellaneous life; and the wider world. Feel free to add or subtract as necessary for your own use. Today I have an enormous amount to be grateful for, both from the past week and going into the new week. I have been offered a class at a new school, and the hiring paperwork meeting will be this coming week, which will get that squared away and get me started on an online class for the last half of the semester. I’ve also got many students petitioning to add my classes, which is admittedly a big ego boost for me. And I’ve finished my first full week of classes, mostly unscathed! And I’ve been told I’ll have a full schedule in the spring at at least one school, which is also fantastic news. My partner and I have moved towards our marriage plans – tentatively, but it’s still motion towards. My kids were here last weekend and that was simply lovely; the older one was a huge help with chores and the younger, although laid up with a sprained foot, was wonderful company. Tonight my partner is going to go with me to temple and the pre-service oneg, which has me very excited that he’s showing interest in my conversion. My health seems to be all right. Even though I’ve had a bad backache, I can still move and do what needs to be done, which is a good thing. I’m also considering finding repurposed items to use as ritual items, instead of spending money on spendy items that I can’t afford. I am not sure what I’d repurpose for a Havdalah candle-holder, but I can see repurposing a spice jar as a Havdalah spice-box, for example. Some of my ritual items are already repurposed; most notably, a goblet a friend of mine gave me is my Kiddush cup. Now that my preps are done and my classes have started, I can start really working on my Hebrew studies again. That starts this coming week, with actual scheduled time for me to spend on it every single day. No more shirking! I am very thankful for the new cease-fire in Gaza and the intimations that a longer peace may be coming. Long may it hold. Shabbat shalom! I’ll see you on Sunday, most likely. Image credit: “Shabbat Shalom” by Karen on Flickr: “Shabbat Shalom” by Karen at Flickr:http://preview.tinyurl.com/lbayfzu Used under Creative Commons License. I’m a little late on this one, but I’m thankful for this time of year. I have some habits that I need to change and I’m thankful that I still feel inspired and driven to change them. My wife and I have been connecting more this week, and planning for the years to come.